Scholars and policymakers have increasingly recognized that Islamist movements and actors vary widely – from domestically oriented, quietist movements engaging in democratic systems to revolutionary, armed movements aiming to upend the nation-state system. Yet, little has been done to understand how the nature of individual movements, and their success, often differs substantially at the subnational level. Some communities are much more likely to support different Islamist actors than others, and even the same movement may have very different strategies in some localities than others. Many questions remain regarding if and how Islamist movements and actors look or act differently in rural areas and secondary cities as they do in the capitals. To what extent do the strategies and performance of Islamists vary sub-nationally? And what explains this variation? To address this gap in understanding, the Project on Middle East Political Science and the Program on Governance and Local Development at the University of Gothenburg convened a workshop in June 2017. 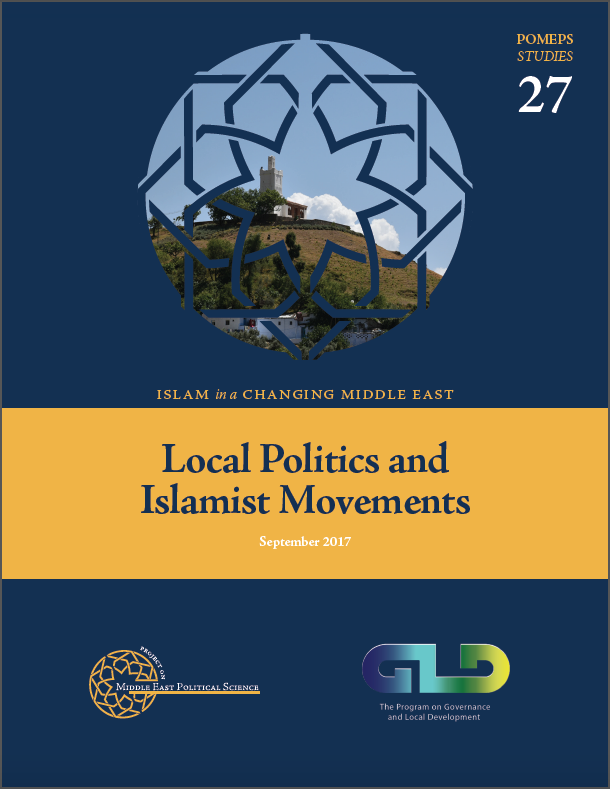 In doing so, it extends research on Islamist movements, which has primarily examined the strategies of movement leaders, the relationship between Islamist movements and social services, the level support for these movements, and the performance of parliamentarian at the national level Yet, as political science as a discipline has increasingly recognized, much of the actual experience of politics takes place outside capital cities and major urban areas and that subnational variation is particularly important. The goal of the workshop was thus to take stock of the knowledge that exists on local Islam, and to point to new avenues of research. The papers in this collection cover a diverse set of countries and historical periods. Bringing together specialists on local Islamist politics in Europe, the Middle East and North Africa, South Asia, and sub-Saharan Africa provided us an extraordinary breadth of contexts. This allowed us to consider the extent to which the mechanisms we uncovered operate across multiple domains, to weigh factors common to Islamist movements, generally, and to recognize when outcomes appear to be primarily driven by context. Read the full collection here.